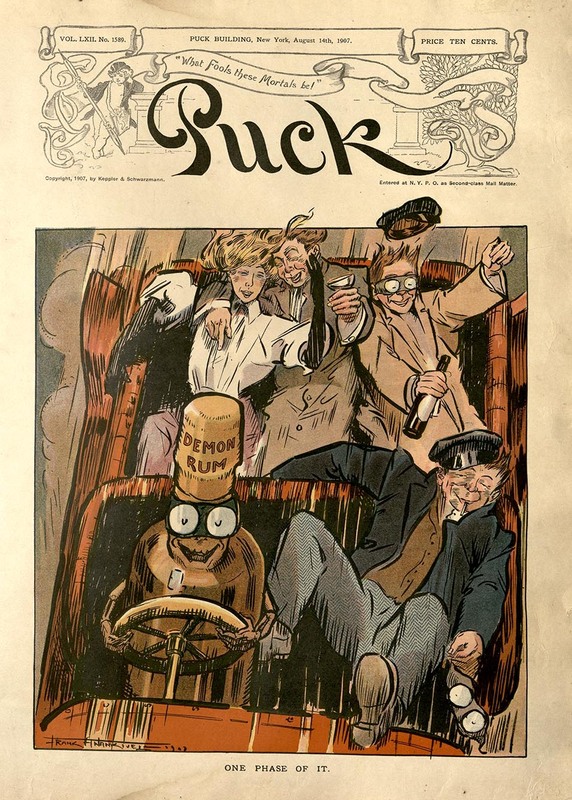 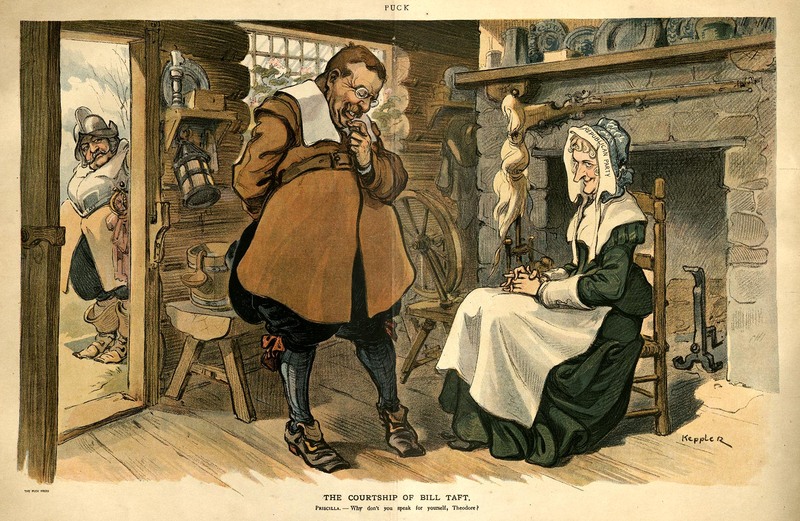 Puck was an American humor and satire magazine in circulation from 1871-1918. 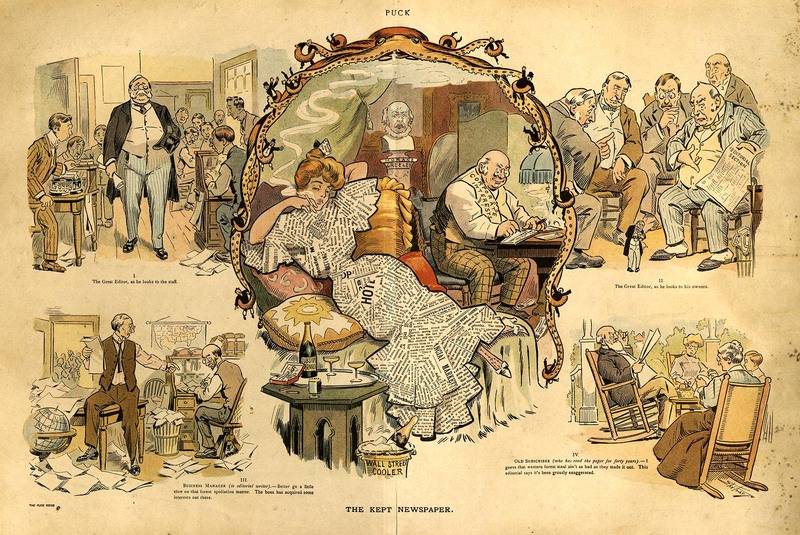 Published in both English- and German-language editions, the magazine was founded in St. Louis, but moved to New York City within 5 years. 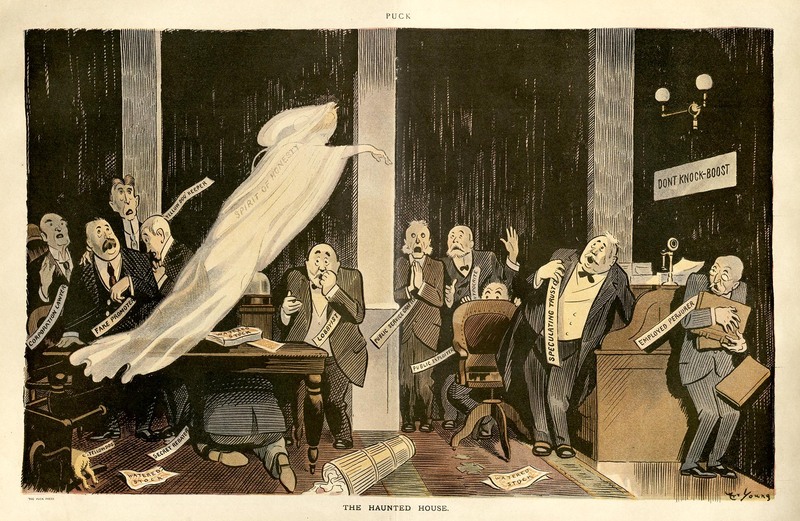 Most issues were 32 pages in length. 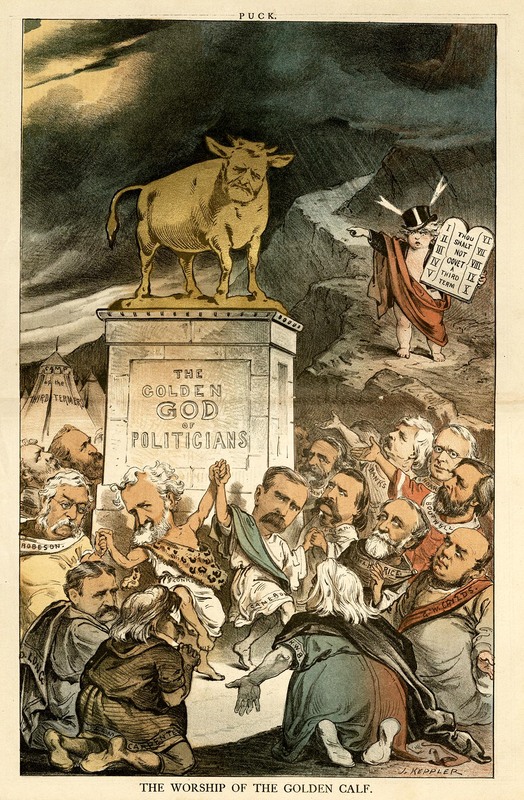 They included colored cartoons on the front page, and large political cartoons on the centerfold. 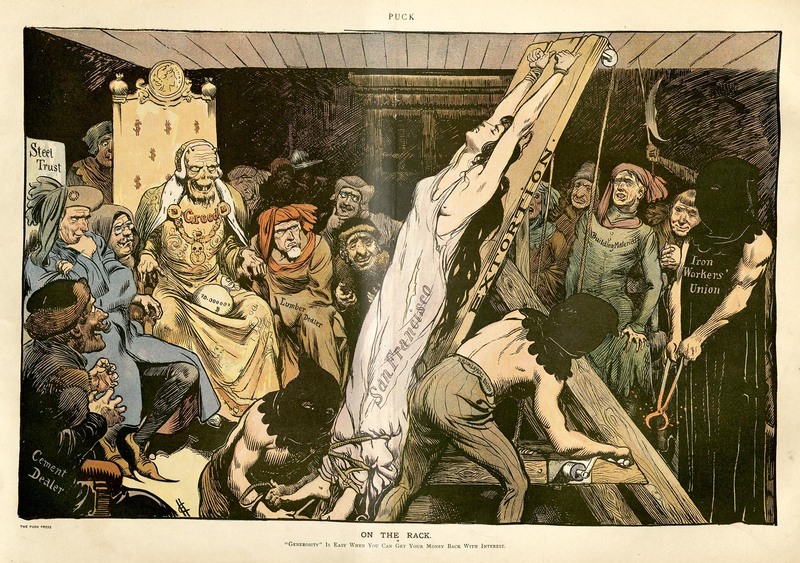 Many well-known early cartoonists worked at Puck, including Rose O'Neill, Livingston Hopkins, Eugene Zimmerman, and Frederick Burr Opper. 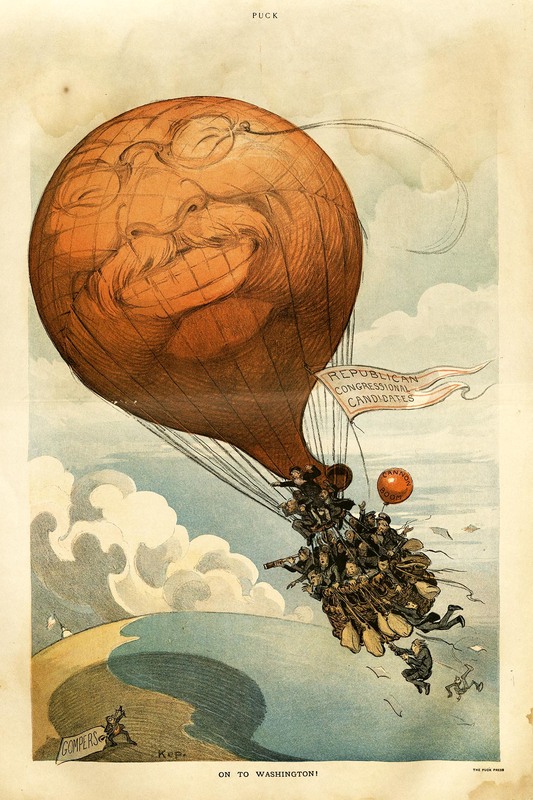 Special Collections and Archives holds some complete issues of the magazine, and a separate collection of cartoons. 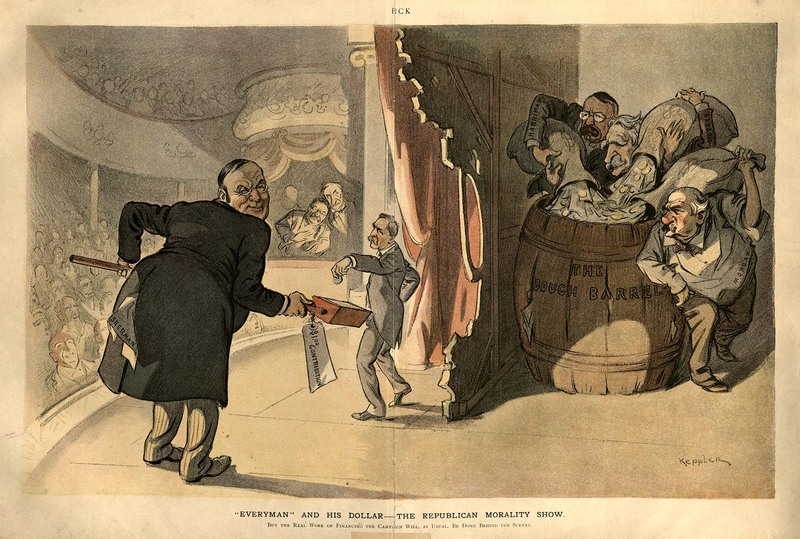 Our holdings primarily date from the 1880s to the 1910s, spanning much of the Progressive Era in American politics, especially the presidencies of Democrat Grover Cleveland, and Republicans William McKinley, Teddy Roosevelt, and William Howard Taft. 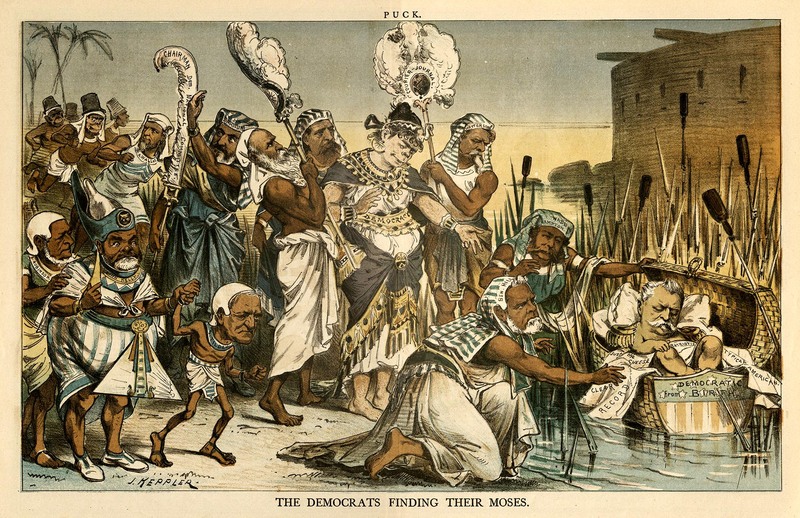 Progressive politics primarily focused on social and political reform, especially the elimination of large political machines like Tammany Hall, the Democratic Party machine run by Boss Tweed in New York. 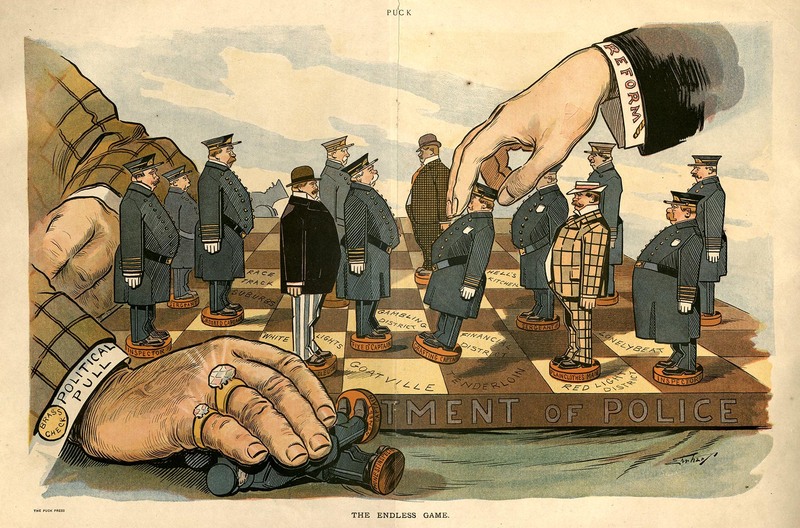 While Progressives were members of the Republican party, and generally supported pro-business policies, they also worked to break corporate monopolies, support labor unions, end child labor, fight corruption in politics, and regulate financial markets. 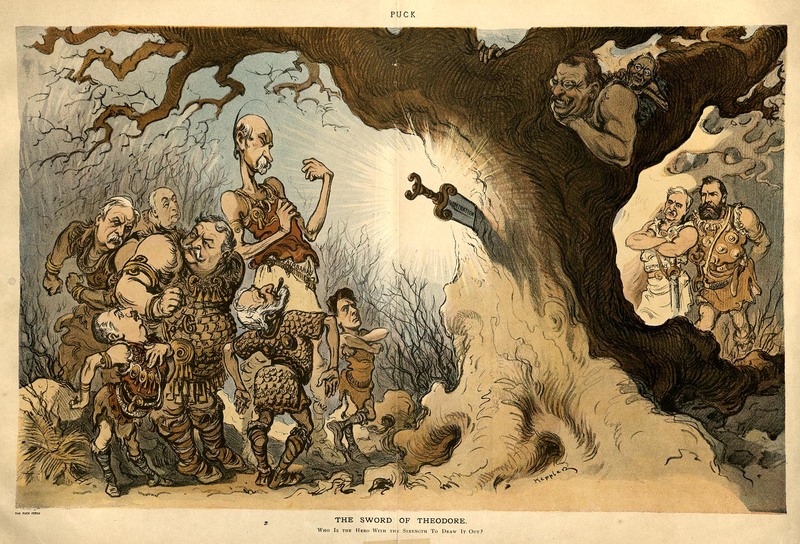 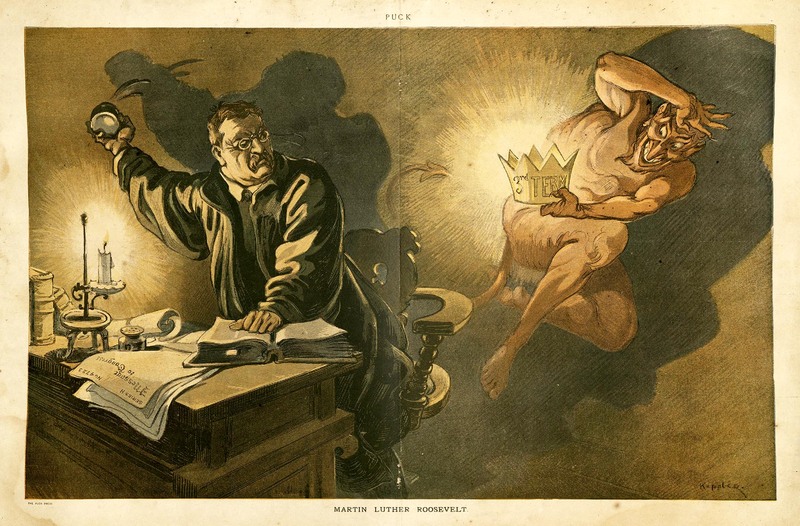 Selected cartoons from Puck featured below skewer and satirize sitting presidents and presidential candidates, the police reform movement, corrupt politicians, and the partisan press. 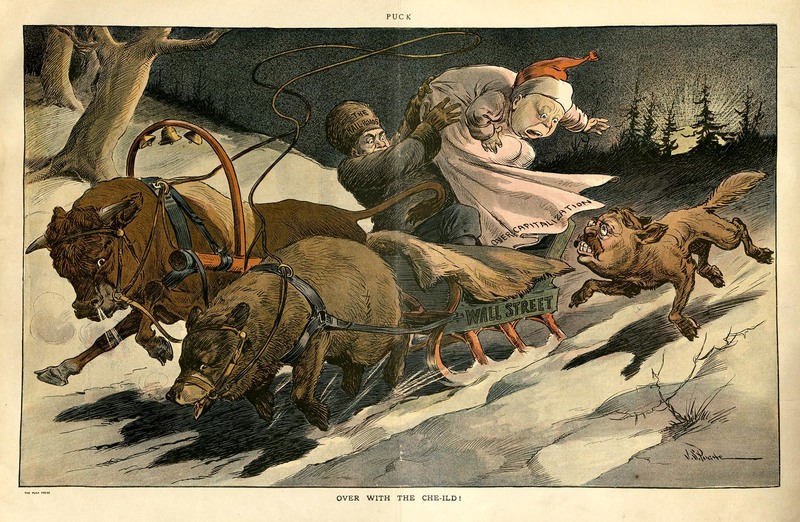 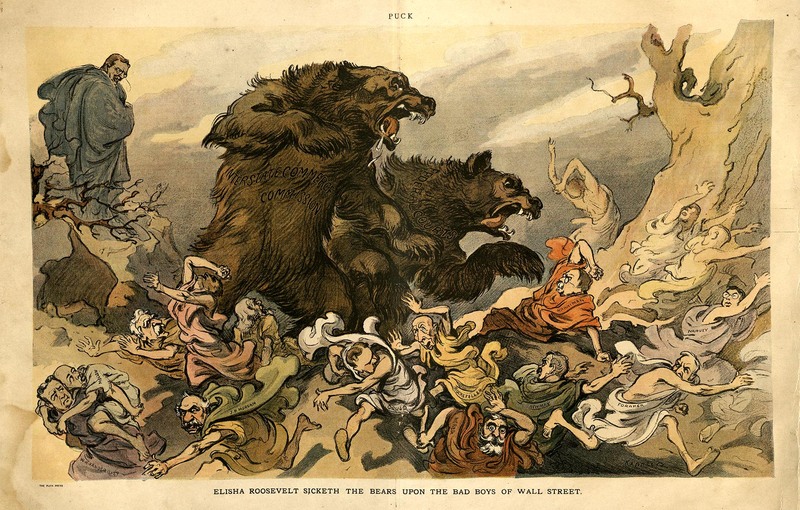 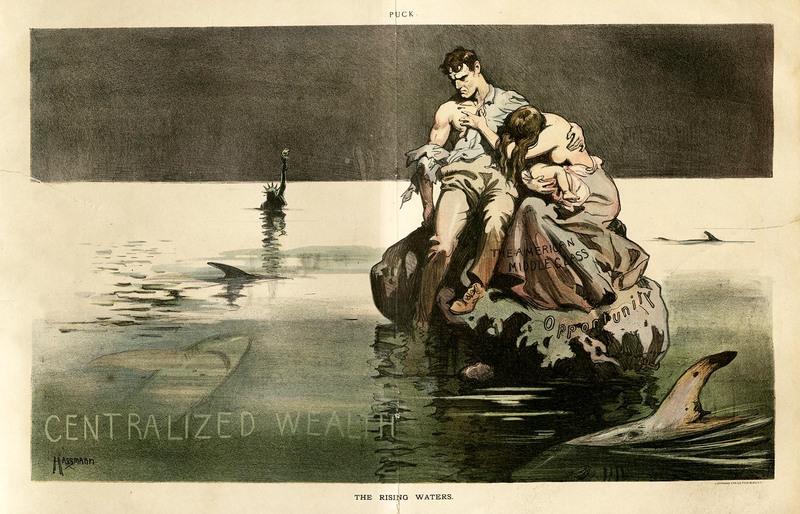 Irresponsible behavior by investors on Wall Street, the Interstate Commerce Commission's work to break trusts (especially John D. Rockefeller's Standard Oil Trust), and the decline of the American middle class in the early 20th century also figure prominently in many images. 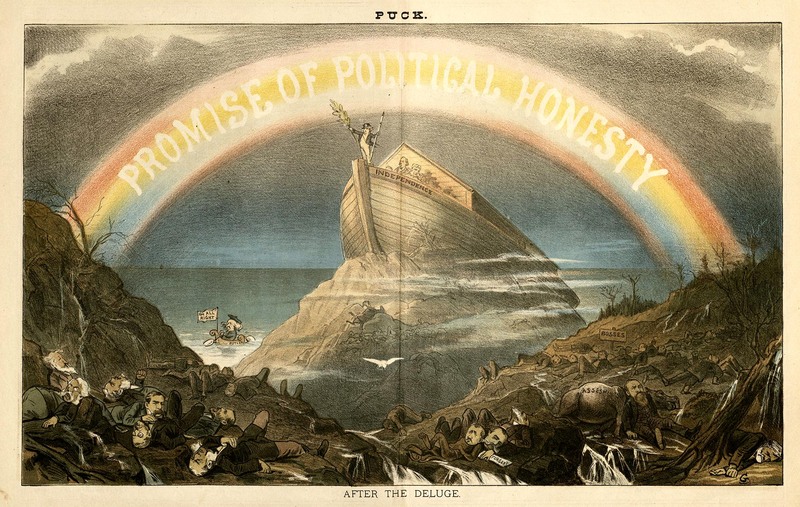 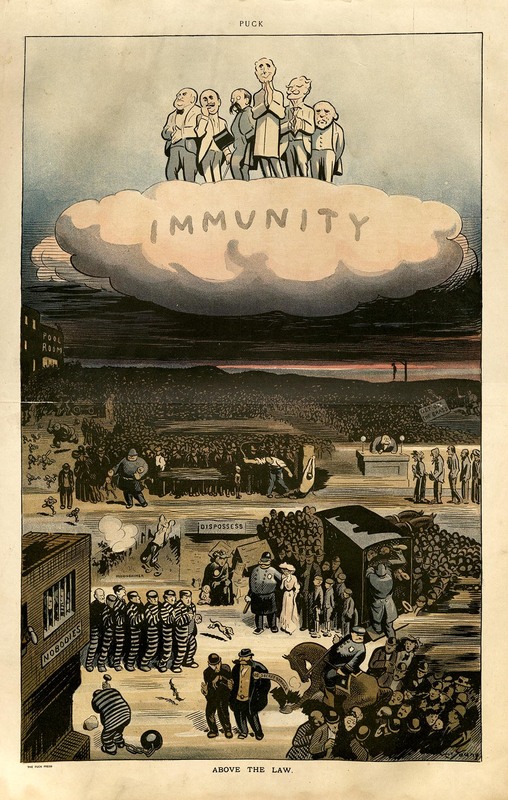 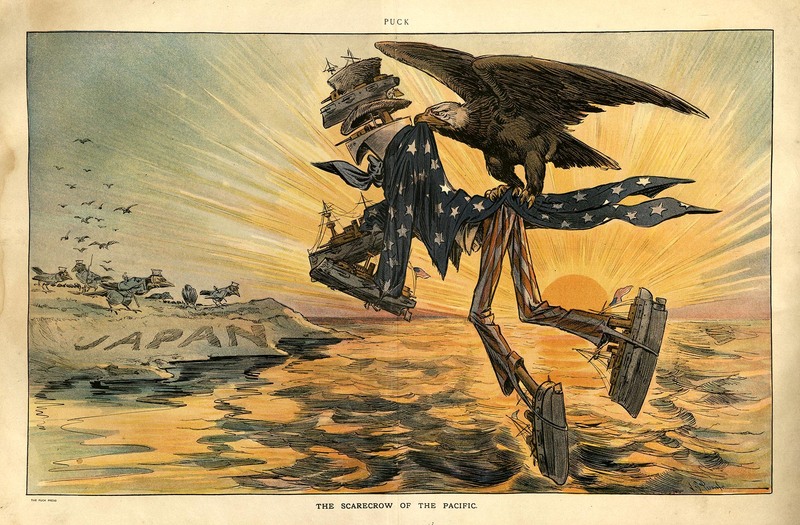 Other issues, including corporate and labor corruption in rebuilding San Francisco after the 1906 earthquake, and the United States' support for European interests during the Russo-Japanese War, are also featured.